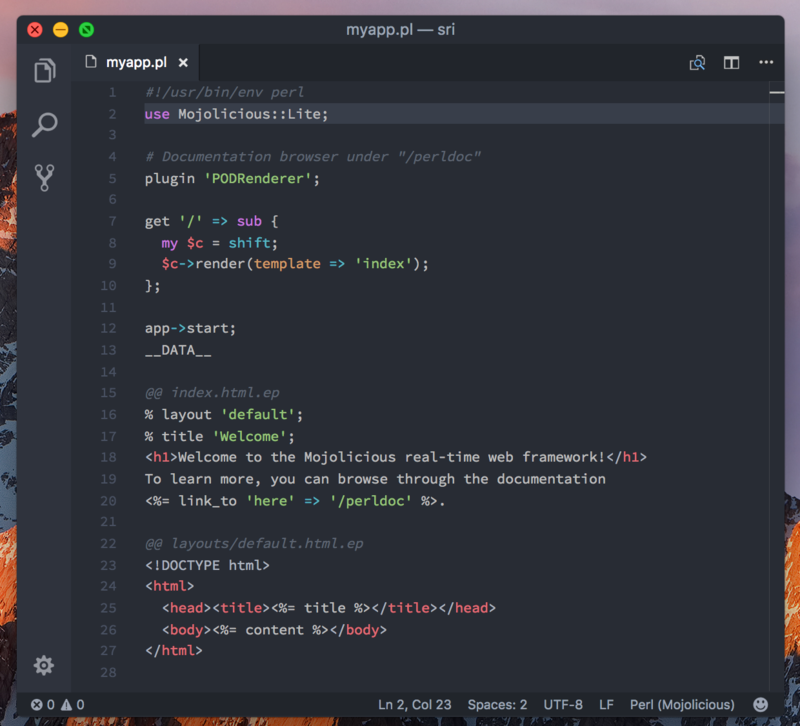 Visual Studio Code>Programming Languages>MojoliciousNew to Visual Studio Code? Get it now. VS Code support for the Mojolicious real-time web framework.